PCM provides you innovative pumping solutions. that PCM meets with perfectly adapted pumping systems. PCM offers versatile, simple, robust and easy to maintain technical solutions, designed to adapt to future needs. Whatever the products you work with, no matter they are abrasive, fragile, viscous, corrosive, hot or heavy, they require special treatment. 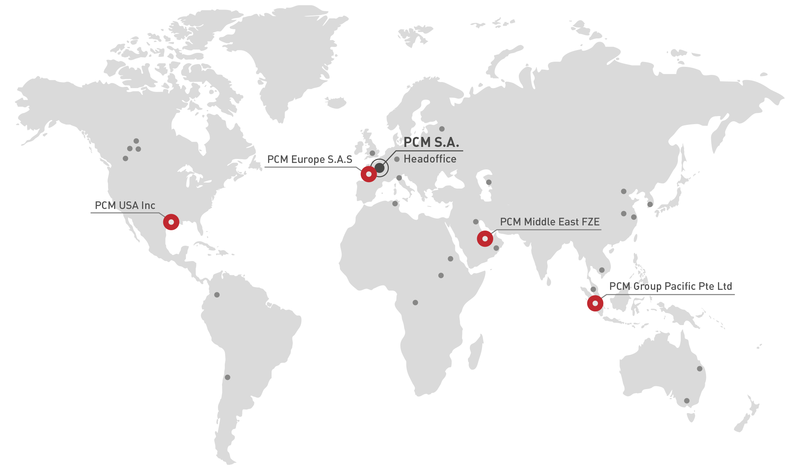 PCM provides a wide range of products and services for industrial applications. PCM offers to its industrial customers efficient, reliable and cost effective pumps and systems. Designed to shred solid pieces such as fibers, stones, bones, the PCM X-Guard inline grinder allows to shred and crush particles before they damage your processing equipment. With a simple yet sturdy/rugged design, PCM EcoMoineau™ MVA sludge pump allows you to combine constant productivity and cost-effectiveness even with the most complex fluids. The PCM Delasco™ DL Series range allows to cover a wide variety of applications calling for heavy duty and flexibility thanks to a perfect combination of rollers and hose guides. The Lagoa series of reciprocating pumps is designed for metering a wide variety of products, including minerals, paper and oil, across a range of industries. PCM’s industrial macerators offer a cost-effective way to protect the reliability of your pumps. PCM Cleanskid is a high pressure washing system specially designed for trucks cleaning in mining & minerals applications. PCM Limeskid is the ideal skid to dose, meter and inject lime milk in mining, waste water and paper applications. PCM Chemskid is a pumping unit skid specially designed to dose chemical regeants. PCM filter press feeding system associated with sludge pumps is an ideal system for mining and minerals applications. PCM Viscofeeder is the ideal system for transfering and dosing hyper viscous and sticky fluids. Read our customer testimonial about PCM Delasco™ peristaltic pumps that allow increasing gold recovery rate in a gold mine in Siberia. Learn more about our EcoMoineau™ M range with this specific skid, that allows to improve the oils and fats recovery rates in water, in an Australian engineering company. Find out more about the performances and benefits of our EcoMoineau™ M progressing cavity pumps range for aircraft deicing applications. A concentrate of technologies. EcoMoineau™ C is the shortest progressing cavity pump in the market. Its shaftline can be easily removed from the pump. A concentrate of technologies. EcoMoineau™ C is the shortest progressing cavity pump in the market. Eco-designed, this pump can very easily and quickly dismantled. A concentrate of technologies. EcoMoineau™ C is the shortest progressing cavity pump in the market. Eco-designed, this pump enable a significant space saving and an easy and quick dismantling. Discover the new PCM Delasco™ DX peristaltic pump - X-stream and green pumping - DX65 - DX80 - DX100. The maintenance of the new PCM Delasco™ DX peristaltic pump is easy and quick. Discover how to remove the hose from the pump. The new PCM Delasco™ DX peristaltic pump allow a quick and easy maintenance thanks to the only wetted part: the hose. Find out more about how to remove and replace quickly the hose. "Customer satisfaction is the main priority of PCM Group"